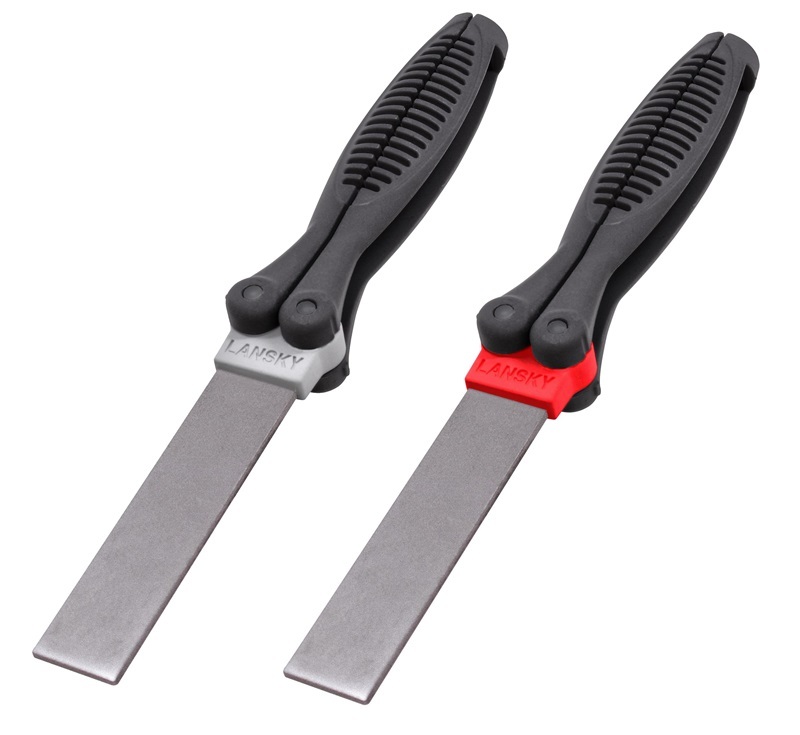 The Lansky Double-Sided Folding Diamond Sharpening Paddles offer two diamond sharpening surfaces in one small tool. 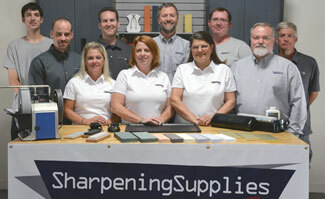 The paddles fold up for convenient storing and carrying and have a comfortable nylon handle for greater sharpening performance. The diamond stone measures 3-1/2" long x 7/8" wide. The length of the paddle when open is 9" (including the diamond stone) and 5" when closed.